WooCommerce is one of the best e-commerce platforms around. It is used by many WordPress webmasters to power their online shops. 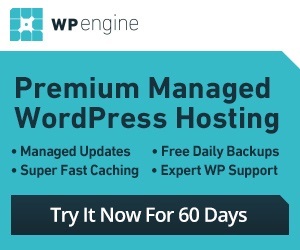 You are going to need a decent looking plugin to get the most out of this framework though. 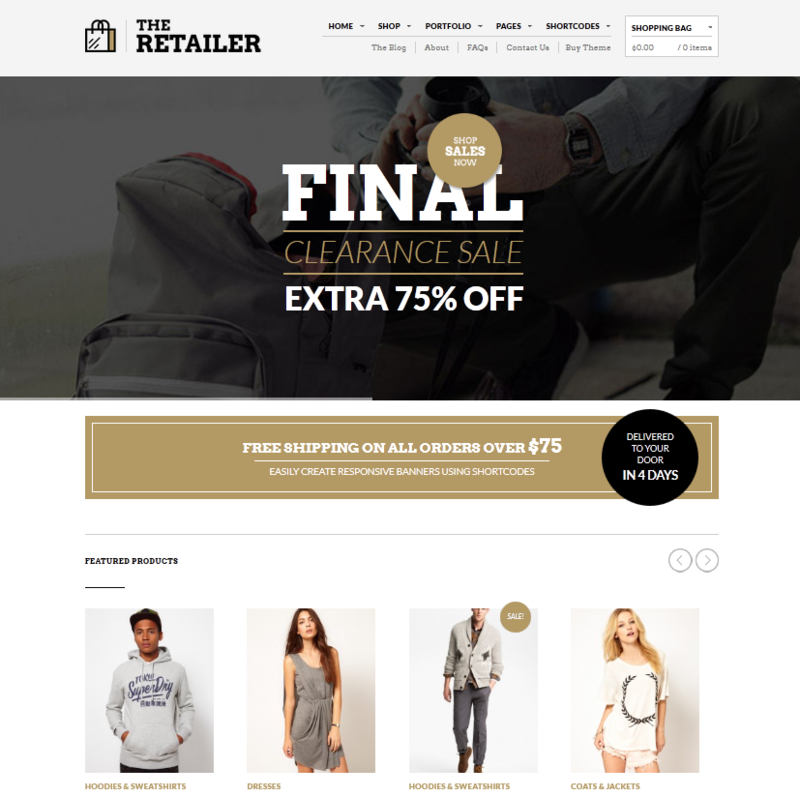 The Retailer for WordPress is a responsive child theme for WooCommerce. It is ready for Retina displays and looks professional. The Retailer has a fully responsive design. It supports unlimited colors. It has a theme options panel you can take advantage of to customize your website. You get the Slider Revolution to promote your top products and deals. You do have the option to turn off shopping functionality by using the catalog mode. The theme comes integrated with Google Maps. It has custom login and register pages too. 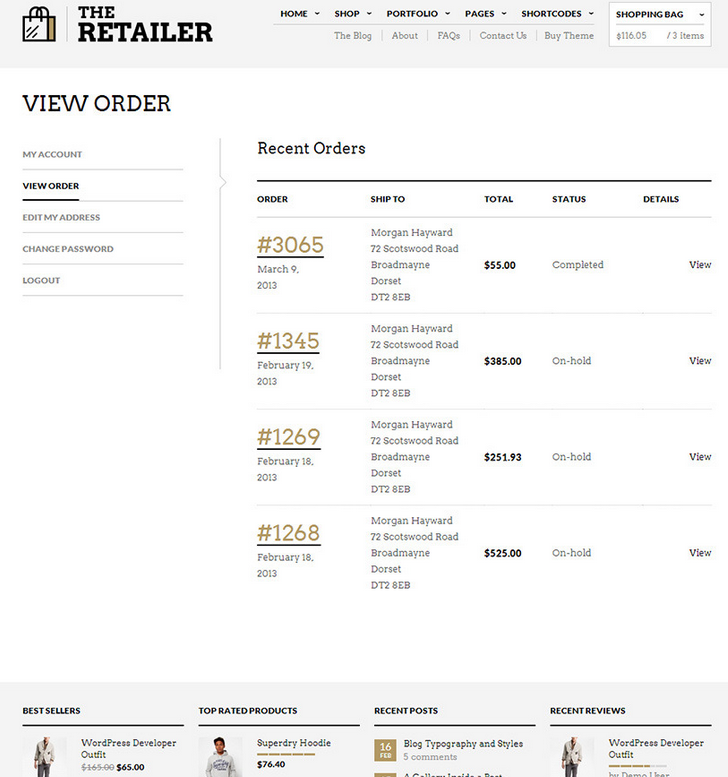 The Retailer is good looking and compatible with WooCommerce 2.0. It has multiple page layouts and can be used for reviewing and rating products. A nice option to look at for WooCommerce users.